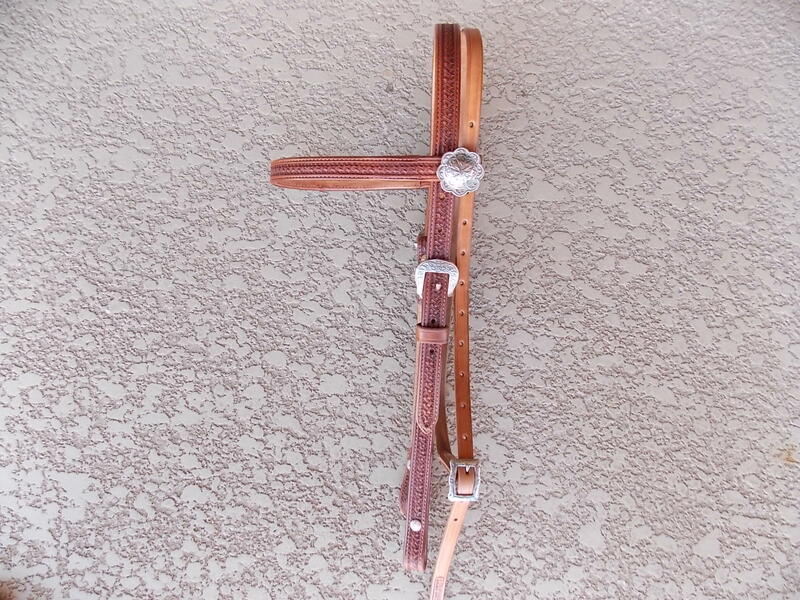 This basket stamped brow band headstall is made by us and has the tiniest basket stamp and is bordered on both sides with a smaller stamp. 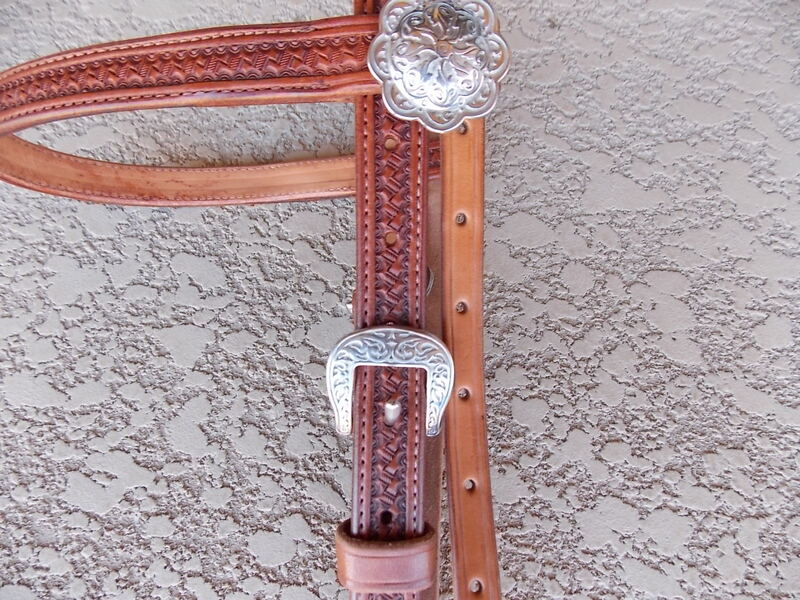 This headstall is fully lined and has fancy stainless steel conchos and buckles. Horse size.